The Watchmen Director's Cut is coming to Blu-ray in late July and will include a feature that allows you to sync your BD-Live buddies and Facebook friends into one list. This means you can use Warner Home Video's live community screening feature (LCS) to simultaneously view the Watchmen with your Facebook friends, no matter where they are located and share comments about the movie within Facebook, according to The Hollywood Reporter. The catch is everyone who wants to participate in LCS has to own a copy of the Blu-ray disc and have a BD-Live-enabled player with a broadband connection. BD-Live is a Blu-ray disc feature that lets movie producers provide access to a variety of Internet-based content including LCS, interactive games, social networking, movie trailers and DVD bonus features. Previously, you were only able to take advantage of Warner's LCS feature with other people on the studio's BD-Live network. Warner says it entered into the new partnership with Facebook because customers wanted greater social network functionality within Warner's BD-Live network. There's no word on whether future titles from Warner will include Facebook integration for BD-Live. While LCS on Facebook sounds like a great idea, in the end I think it's just another gimmick to try and convince people to jump on the Blu-ray bandwagon. The biggest barrier to this feature is that everyone has to own a copy of the movie and then plan to meet online at a certain time. I mean, how many of you out there are desperate to watch a movie at the same time as your friends who live in different locations? My guess is people will try LCS with some Facebook friends once or twice, and then grow tired of it. What would be really interesting would be a feature that lets you broadcast a live stream of the movie you're watching to a limited number of your Facebook friends, say four or five. That might sound risky from a movie studio perspective, but it would allow people to share their content with friends while still maintaining some control for the content producer. A feature like that would be useful, easy, fun, and practical for the everyday user, and who knows it might even convince some people to finally pick up a Blu-ray player. If you're not interested in Blu-ray, Warner is planning a major home video release for The Watchmen across a variety of platforms and formats. On disc, the Watchmen theatrical version will be available on standard DVD for $28.98 while the Director's Cut will come out only on Blu-ray for $35.99. The same day of the disc release, the Watchmen theatrical version will also be available on pay-per-view for cable, satellite, Xbox 360, and PlayStation 3 customers. Amazon and iTunes will also be offering the Watchmen Director's cut on the same day as the disc release. 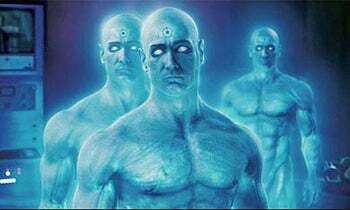 No pricing was available for pay-per-view or digital copies of the Watchmen. Warner is hoping to release the Watchmen on home video on July 21 or 28, around the annual Comic-Con convention in San Diego. The Watchmen on Blu-ray will also have a feature called Maximum Movie Mode: a split-screen view that lets you see the Watchmen and director Zack Snyder's on-screen commentary at the same time. This story, "Watching the Watchmen on Facebook" was originally published by PCWorld.